R. Baron Designs: Me, published? Why, YES! 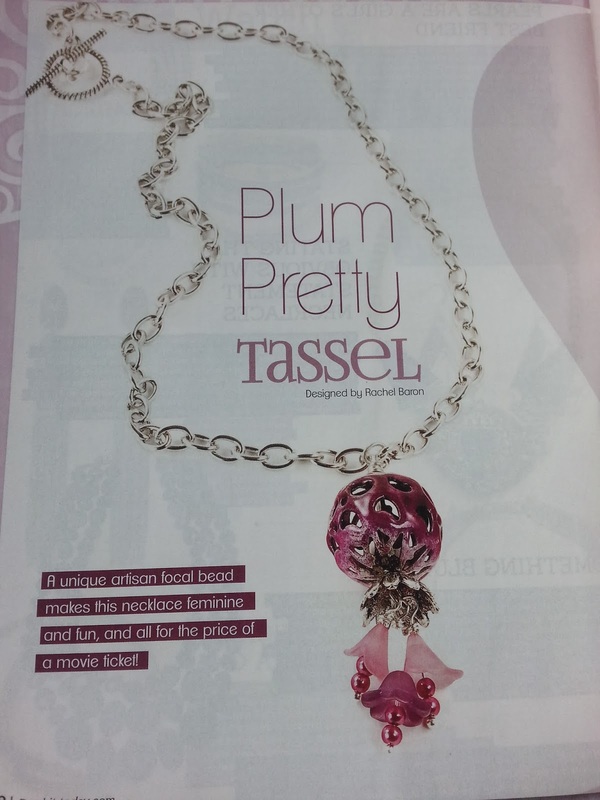 I've been a writer for Bead Design Studio Magazine for a few years. Writing was always my first passion, with beads being a close second. So it makes sense that my writing career got started in a bead magazine! But even though I have numerous articles published, I never had a "piece" of mine published. You know, something I created out of *beads,* not just words. That is, until now! Check out the latest issue of Bead-It Today to find the tutorial how to create this pretty necklace using one of my torch-enameled focal beads. I really do love this magazine. It's priced very fair (only $3.99) and is full of tons of inspiring projects and ideas. I am so happy to be included in it's pages! I have the enameled focal in my Etsy shop if you would like to make yourself a similar necklace (or goo in a completely different direction!). Click HERE to be taken directly to the listing!